Perhaps the most famous of all the Green Lanterns, Hal Jordan put on the lantern’s ring for the first time in 1959. A re-envisioning of the original crime-fighting Green Lantern (Alan Scott), created by John Broome in the 1940s, this new Green Lantern was a science fiction adventurer. He battled aliens, giant monsters, wealthy sociopaths out to steal his power ring...and the efforts of his lady love, Carol Ferris, to discover his true identity. As the Green Lantern of the Silver Age of comic books, Hal Jordan captured the imagination of a space-minded society of the ’50s and ’60s. 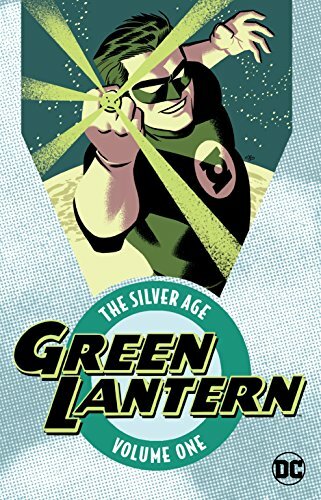 GREEN LANTERN: THE SILVER AGE VOLUME 1 collects the adventures of Hal Jordan as he takes on the responsibility of the ring and the lantern for the first time in SHOWCASE #22-24 and GREEN LANTERN #1-9. If you have any questions about this product by DC Comics, contact us by completing and submitting the form below. If you are looking for a specif part number, please include it with your message.